Can I Retrieve Photos From A Damaged Memory Card? 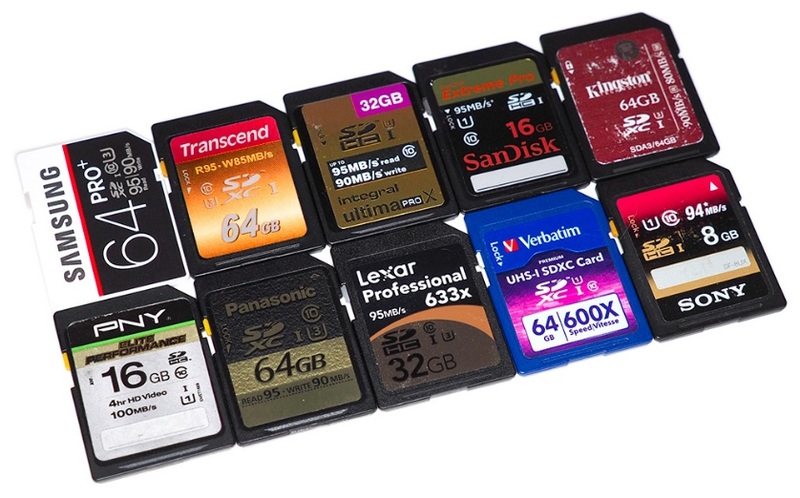 Memory cards, apart from having no moving parts, are not free from bugs, problems and accidental smudges, which can lead to a nervous breakdown. That is why I have prepared this simple guide so you can retrieve your photos, or at least, for you to try. Responding to a big complaint from many readers, today from the hand of Mark we will discover tricks to recover photos from a damaged memory card. One of the main components that usually goes unnoticed in the eyes of many photographers of today is the memory card of the camera. It could be said that this, next to the sensor, replaces what was previously the function of the film. Both opened the doors to the era of digital photography. How do flash memories work? Basically, these memories work in a similar way as do the RAM of the devices and computers that we use on a daily basis, with the difference that the flash memories, within which are the SD, work storing information in a non-volatile way. That is, it is not erased when the power is cut off, the camera is turned off or removed from a device as it does with the RAM. As I said earlier, these memories do not have moving parts like computer hard drives, the information is stored in small chips that guarantee a lot more speed, more durability, and a tiny size. That is why these types of memories have become the best option for cameras to store the photographs. Why can information be lost? Just as photographers who use cameras to roll or film suffer when one of them is guarded, the ones that use digital cameras do it when the memories are damaged. But not only the damage to the file system is responsible for so much panic, but also accidents to delete photographs, contribute more fire to this fire. Photos accidentally erased from memory. Errors on the card that do not allow access or view the files. Turn off the camera while the camera is working with the data. Remove the memory with the camera on. Store in conditions contrary to the manufacturer's recommendations: moisture, heat, etc. What do you do to recover your accidentally lost pictures? If you have accidentally erased pictures or if your camera or computer tells you that the memory is not formatted or does not have any files inside, it is important that you do not let yourself go in despair and do not try any crazy procedure that can damage that files, Incredible as it may seem, are still inside. When a memory card is corrupted, or files are deleted accidentally, the data will remain stored there, at least until you overwrite them. If they are still there, the files are still saved in the storage sectors of your memory card, and while you are not "forcing" with new files (new photos), you will probably still be able to recover them, even if you have already formatted it. To work more comfortably and safely, I recommend that you use a memory card reader to connect it to your computer. The passage through it is forced in this instance since there is no way to perform this procedure directly from the camera. Damage from excessive use of the camera's USB connector. The need to have drivers for the different operating systems in which you can get to connect it. Recuva: an easy, simple and fast option to recover all types of files deleted both from computers and flash memory. Using a wizard will guide you through the various recovery options offered and the types of files you are looking for. An excellent option is that it allows you to preview the photos before recovering them and with just a few clicks you will have recovered them. Zar: it is a small but powerful program that performs a much deeper analysis than Recuva. Being more powerful is also slower, an analysis of a small card can take a few hours. It is extremely useful if the card is so damaged that Windows does not recognize it. The free version of this software will only allow you to recover photographic files. Card Recovery: Of all the image recovery programs I know this is the one that takes the longest time. And when I talk a lot, I say a lot of time, but it is really useful, and just like the Czar also allows you to recover files from memory cards that not recognized by the computer. Just be calm that as you find files the list on the screen so at any time of the analysis you can stop it and retrieve the files listed until then. The free version has a limit of complete scans possible. File Scavenger: This powerful application has saved me countless times so despite being paid if you are willing to spend, I assure you that you will render every penny invested. Recover my Photos: recovering photos is very easy thanks to this program, which, like the File Dump, despite being paid, is an excellent option to take into account for those willing to spend a few pennies on it. It has a version dedicated to technicians and specialists although its cost is really high. Buy Quality: to the extent that your budget allows you, buy quality memory cards. They are divided into classes, and these classify the memories with the writing speed with which they work, so the level 2 memories are much slower, and therefore less reliable than class 1. Be patient: when you finish taking your pictures, do not rush to remove the card from the camera to download them to the computer. It may be that, even if we do not indicate the flashing light, continue processing information that will truncate in a difficult. Take the same care to turn the camera off suddenly after using it to avoid the same problem. It makes periodic backups: one of the most excellent ways to serious risks of loss of photographs due to errors or errors is to make frequent backups of them. Do not trust yourself: at the first error message of the camera regarding flash memory failures, stop using the memory. It may have been only a temporary thing to be solved by turning the camera off and on, but it is a more than important indication that something is failing. He who warns not betray. Do not throw the cases: this little plastic box in which memories usually come is not only a piece of packaging that the manufacturer included to make the product more beautiful, but they are designed to protect memories from possible blows, Humidity and all the physical damage that your memory may suffer. Divide and succeed: it 's a good strategy to reduce risk and prevent significant data loss, use several smaller capacity memory cards instead of a large size. If any of them fail, you will still have much of your work safe in the others. Perform maintenance: as you use your memory, connect device to device, fill and download, the file system of this is "fouling." A good way to clean it is to perform a formatting from time to time. I do not recommend that you do it consistently, but yes, if you have been using that card on more than one computer at the same time. General condition: you can also pay attention to the wear and tear of your connectors and the plastic cover that protects them since if they are very worn out you are more likely to have some inconvenience in the short term. Be careful: despite being sturdy devices, you should not rely on them and not take care of them as you really deserve the place where your photographs will be stored, at least until you download them to the computer. Keep them away from moisture, heat, and shocks as any of them in excess can cause damage that you can not repair with any software. It is not always possible to retrieve information from memory when the damage it suffered is not at the level of its data structure but is physical. But if you are very careful with it, the card will accompany you along with many photographs.